Distributed by:- SRD / JVC / La Baleine / Forced Exposure / Wide Records / Inertia / VME / Sonic. 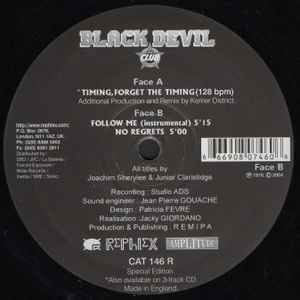 Tracks B1 and B2 are taken from the Black Devil - Disco Club LP, originally released in 1978. Excellent remix by Kerrier District (Luke Vibert) bumps it up to 128bmp.